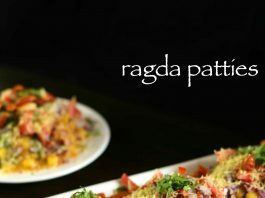 ragda patties recipe | ragda pattice recipe | ragada recipe with detailed photo and video recipe. a popular street food of india which is served with aloo pattice and white peas curry which is also known as ragada curry. 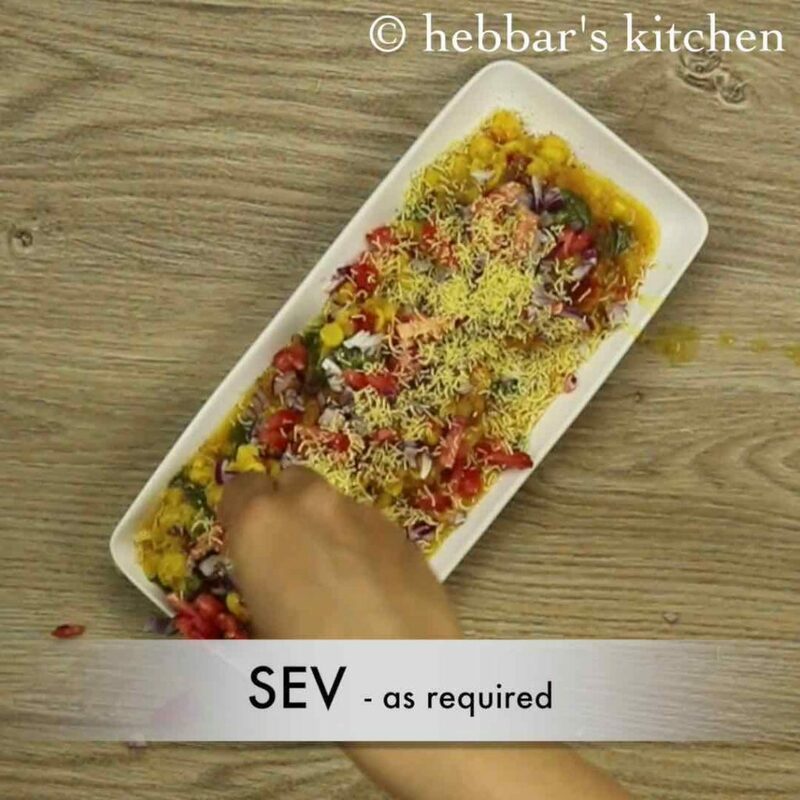 this fast food chaat recipe is well desired evening snacks especially in mumbai, maharashtra and other cities of gujarat. 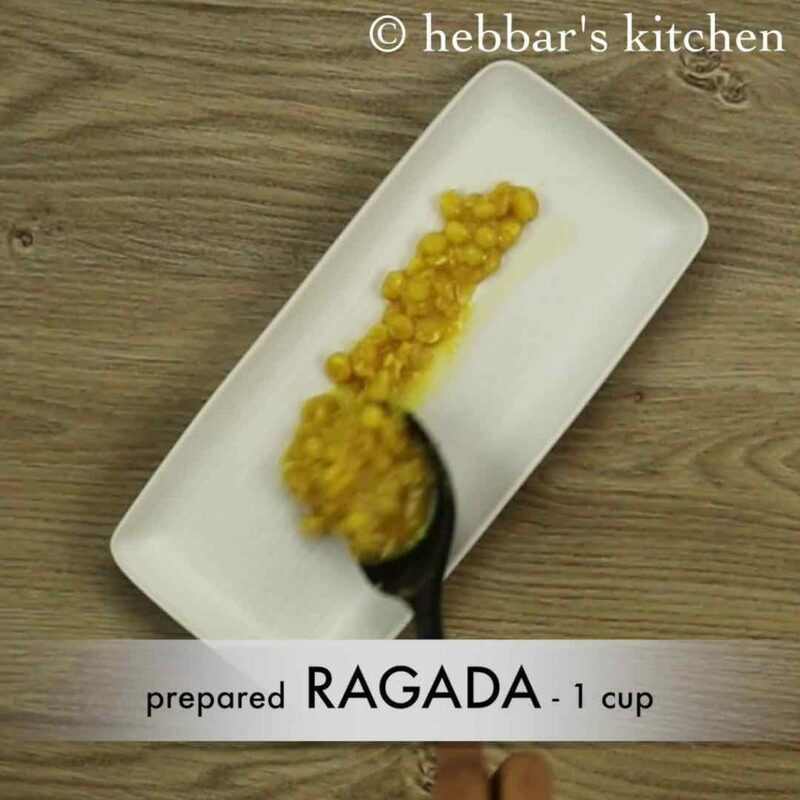 ragda patties recipe | ragda pattice recipe | ragada recipe with step by step photo and video recipe. 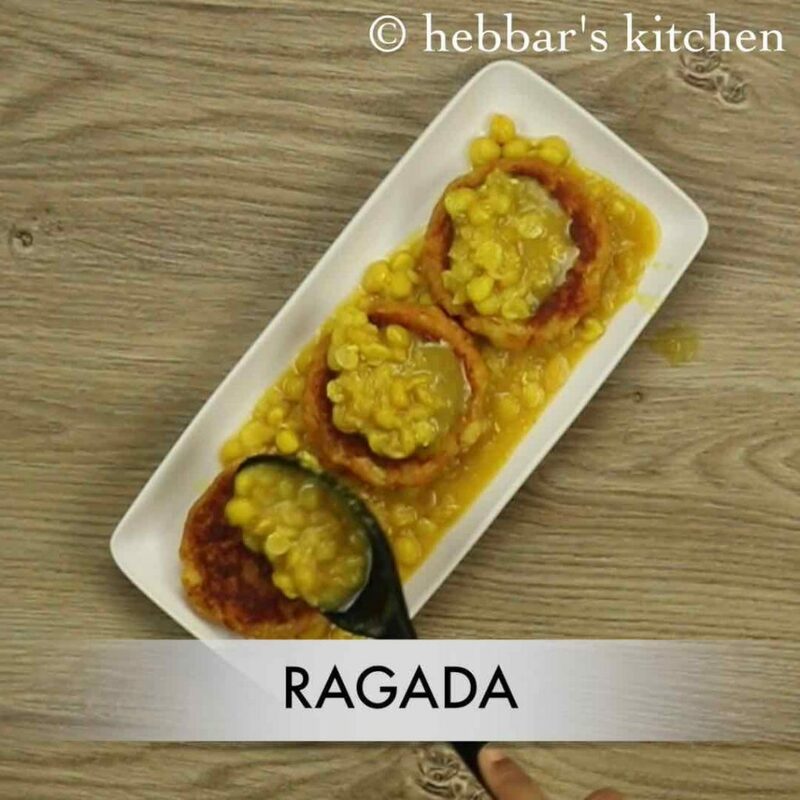 basically this dish consists of two main sub dishes – ragada which is white peas stew or curry and pattice which is a shallow fried potato cutlet. 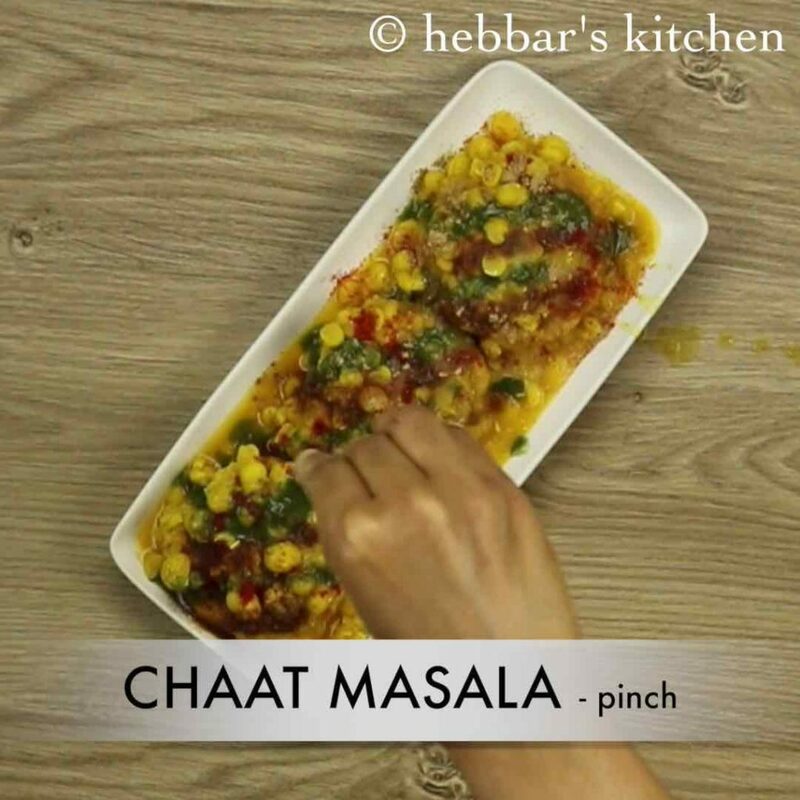 later these 2 dishes are combined together and topped with green chutney, sweet chutney, finely chopped onions, tomatoes and decorated with fine sev and coriander leaves. 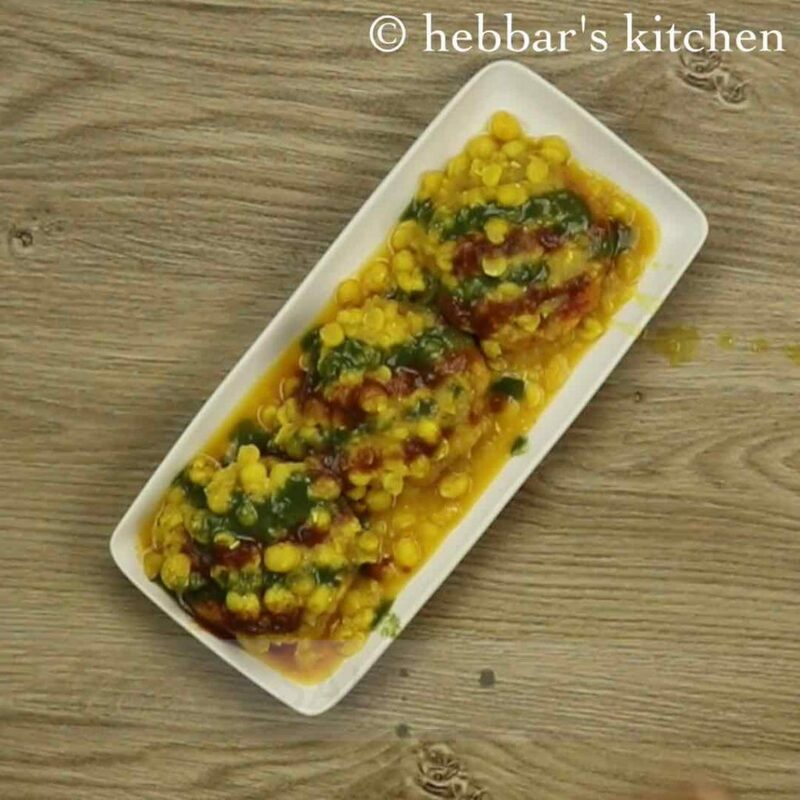 i had prepared this video long back but i delayed posting this recipe as i did not want over crowd my blog with street food recipes. having said that, ragda pattice recipe has always been special chaat recipe to me. perhaps the unconventional way of preparation and mixing of dishes to form one amazing spicy snack, could be the main reason. my first encounter with this recipe was during my 3 days transit vacation in mumbai. until then, i had listened so many stories about this recipe from my husband as he is big fan of mumbai street food. i was desperately waiting to try this recipe in mumbai and especially from a local street vendor. these days we can get this recipe in any proper fine dine restaurants, but certainly it would never match the taste of street food. 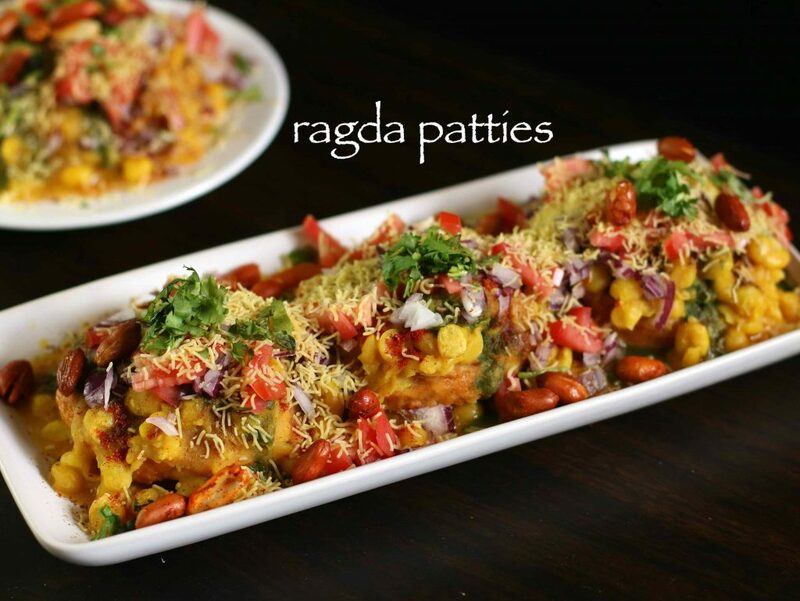 while the preparation of ragda patties is extremely simple like any other chaat recipes, but few simple tips to make it perfect. 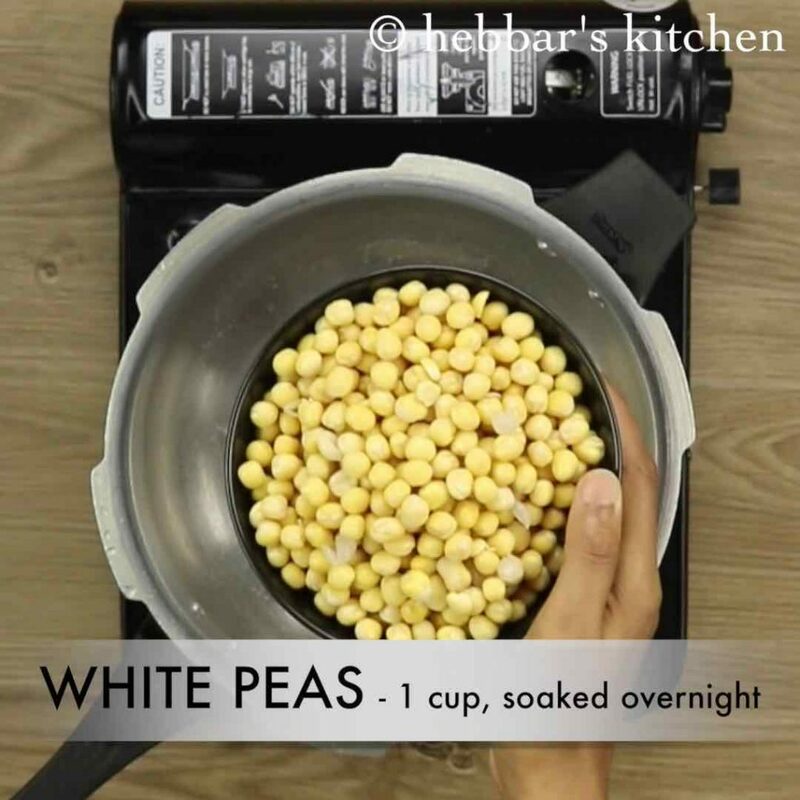 firstly, the white peas need to be soaked overnight, or minimum of 6 hours so that it gets cooked properly. secondly, the white peas can either pressure cooked or can be simply boiled once soaked. pressure cooking can be easier option and recommended one. 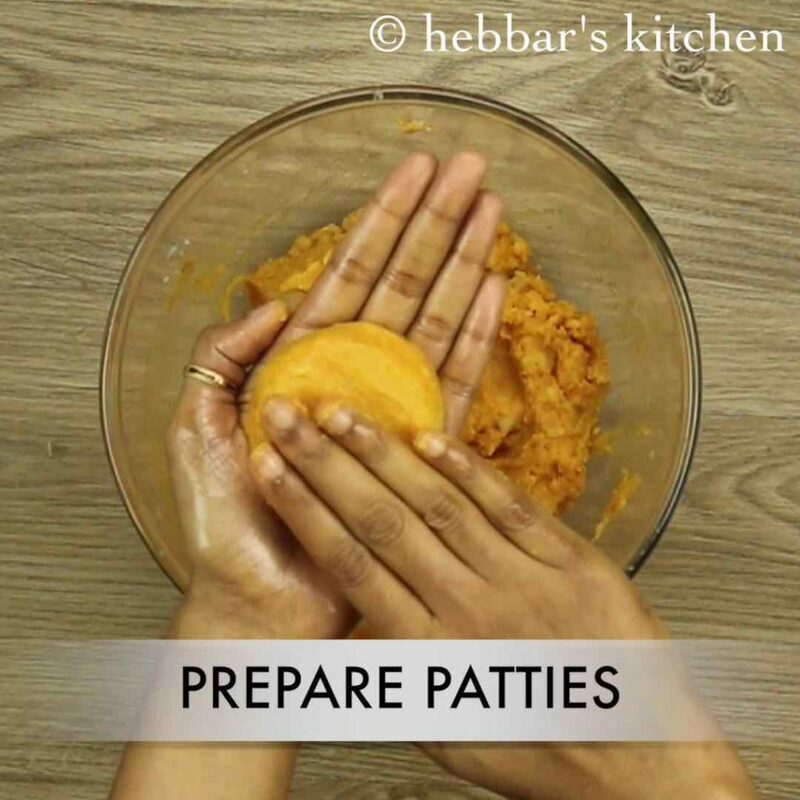 lastly, if you are running short of time to prepare the patties, store bought patties or frozen pattice would work for this recipe. 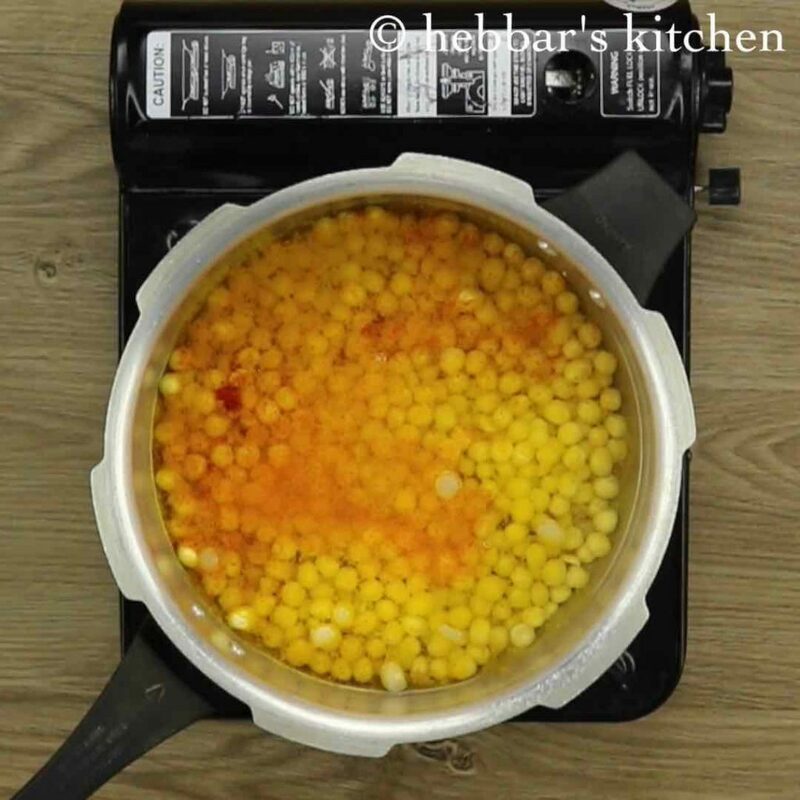 firstly, pressure cook soaked white peas along with water turmeric, chili powder and salt for 4 whistles. once the pressure releases, mash the peas. keep aside. 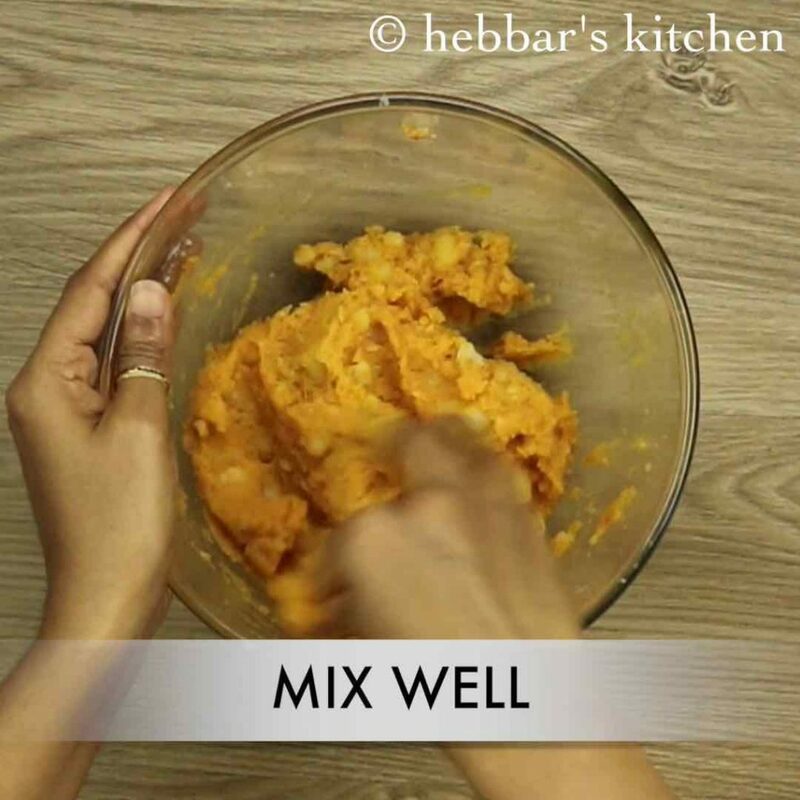 additionally, add thick poha, turmeric, chili powder, cumin powder, chaat masala and salt. 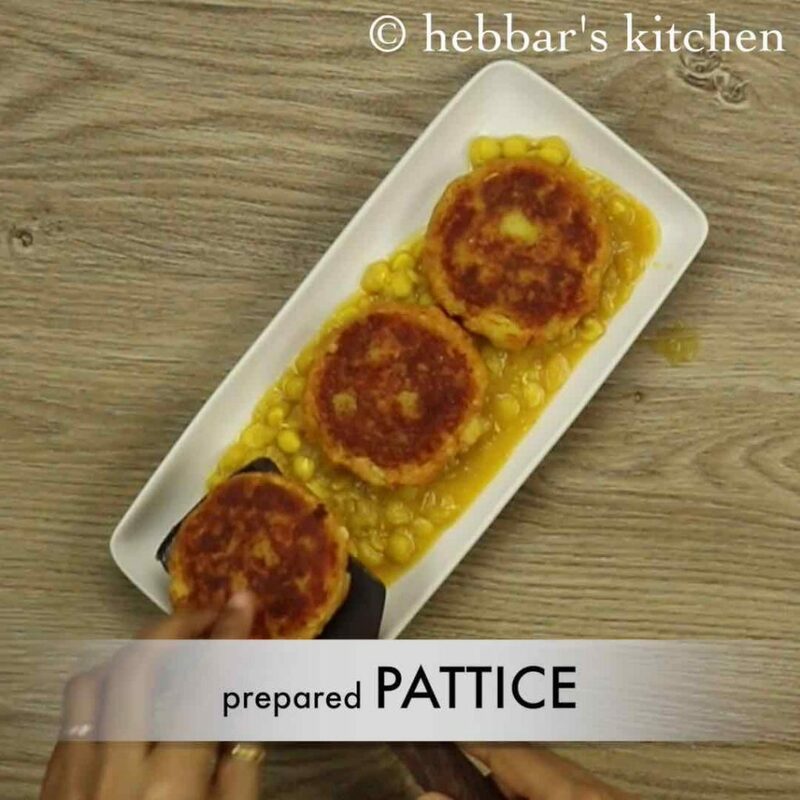 combine well and prepare pattice. shallow fry to golden brown and crisp. in a plate pour prepared ragada and place pattice. further pour more ragada and top wit green chutney and tamarind chutney. sprinkle chili powder, cumin powder, chaat masala and salt. 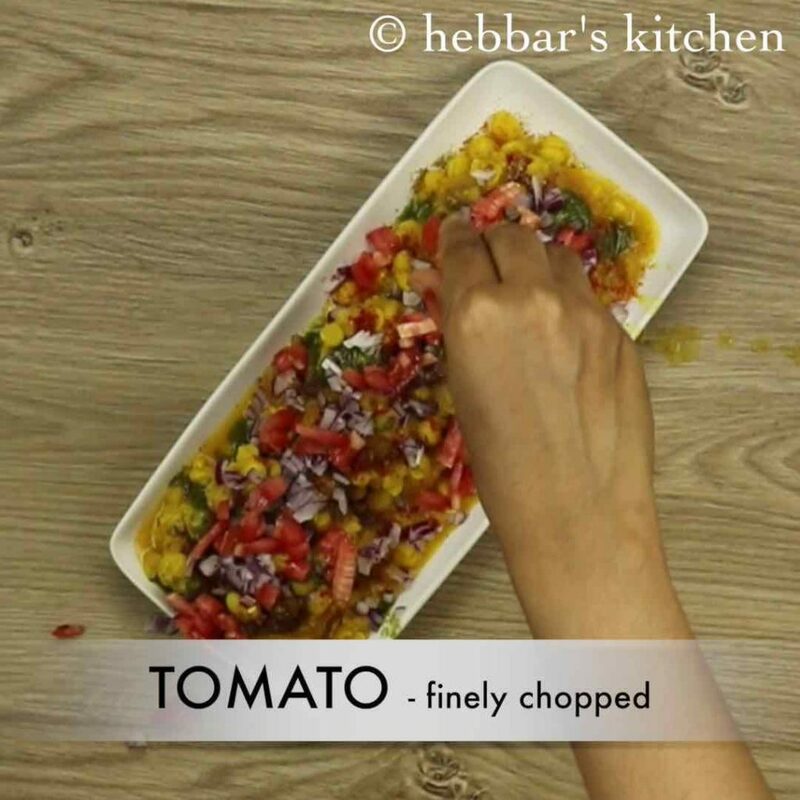 also top with onions, tomato, sev and coriander leaves. finally, serve ragda patties hot along with cutting chai. firstly, in a pressure cooker take white peas soaked overnight. alternatively use green peas if you do not have white peas. also add turmeric, chili powder and salt. 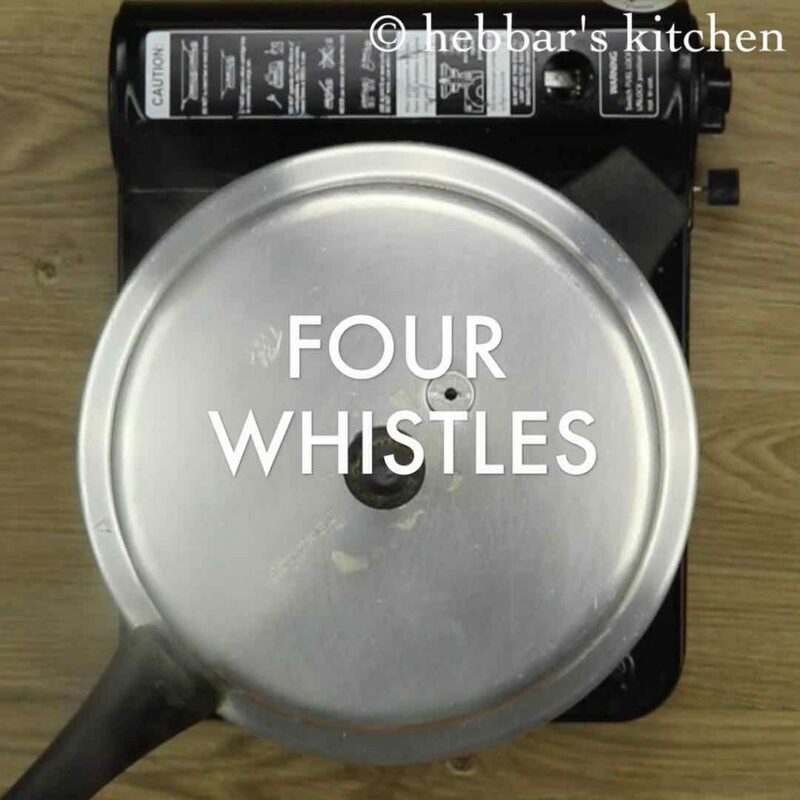 pressure cook for 4 whistles or till the peas turns soft. once the pressure releases, mash the peas to get desired consistency. finally, ragada is ready. 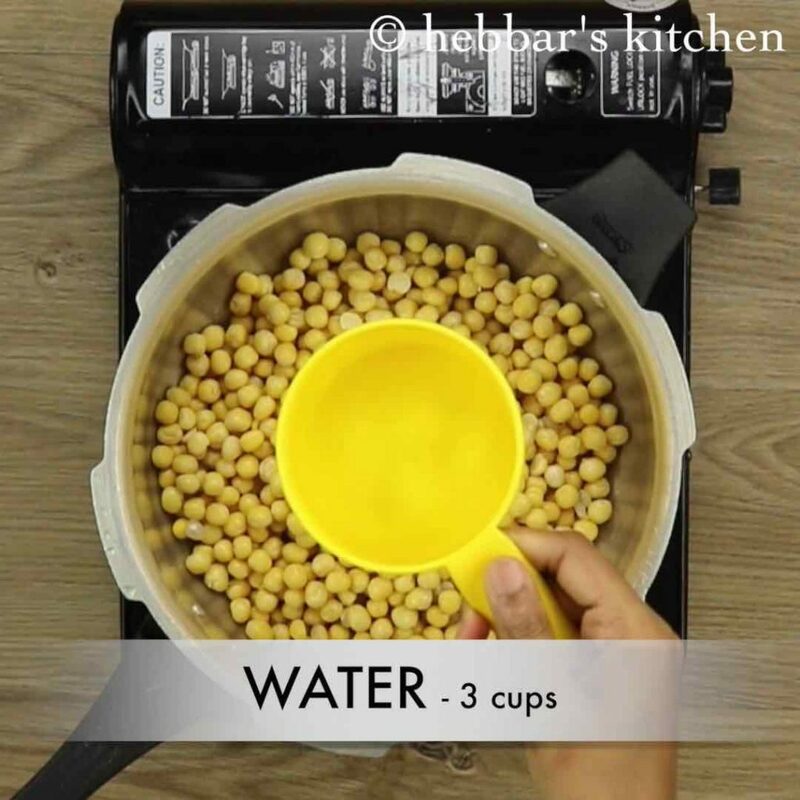 use it to prepare ragada pattice, ragda samosa, sev usal or ragda puri. firstly, take boiled and peeled potato. 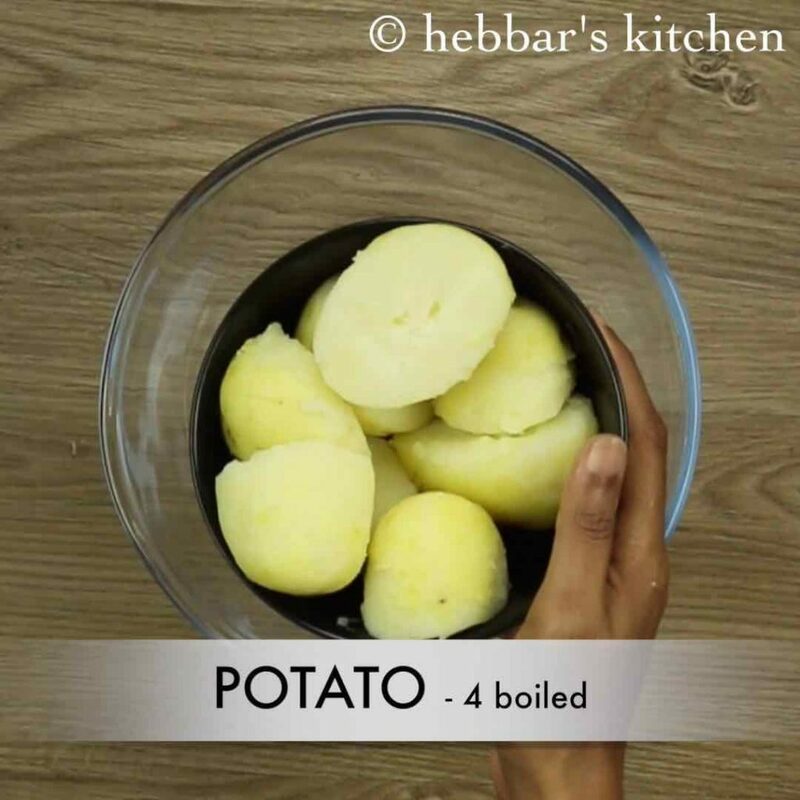 to prepare boiled potato, pressure cook potatoes along with water and salt for 1 whistle or till they are cooked well. 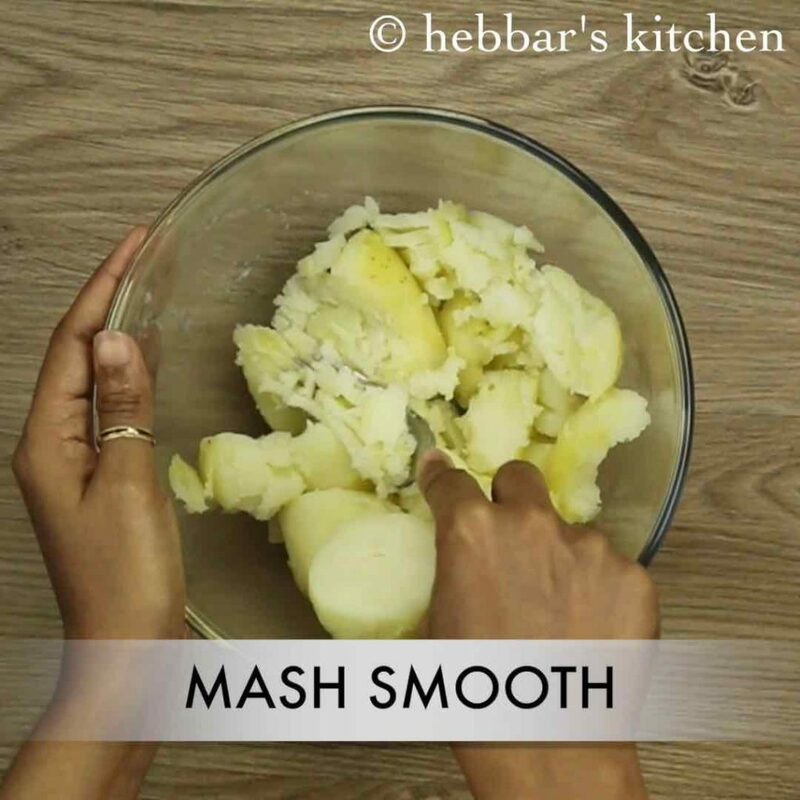 further, mash the potato with a fork or use grater to grate boiled potato. 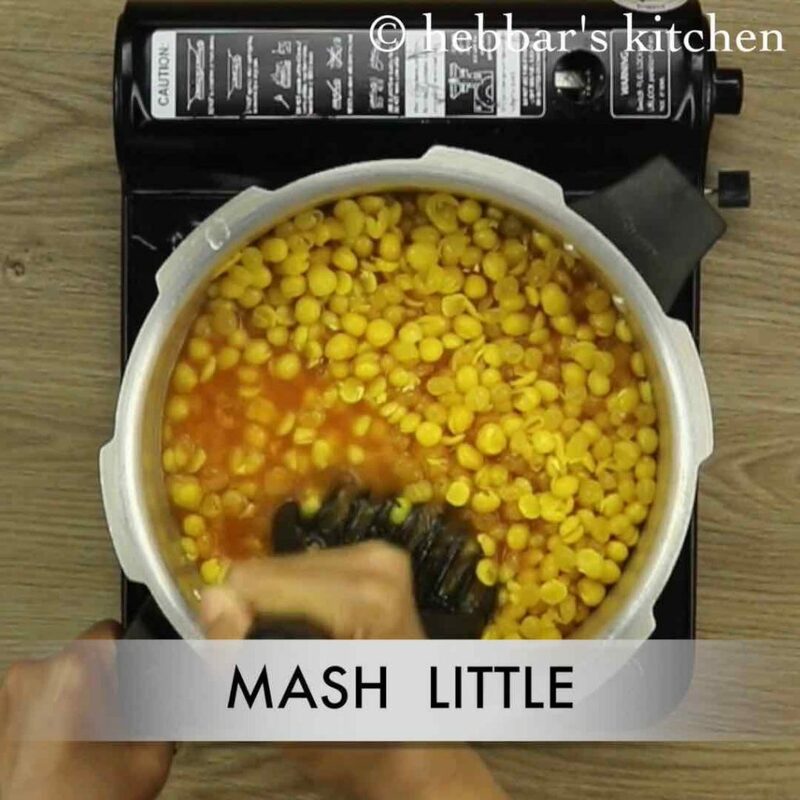 additionally, add thick poha to absorb extra moisture and make pattice more crispy. always make sure to wash poha to remove impurities. furthermore add turmeric, chili powder, cumin powder, chaat masala and salt. 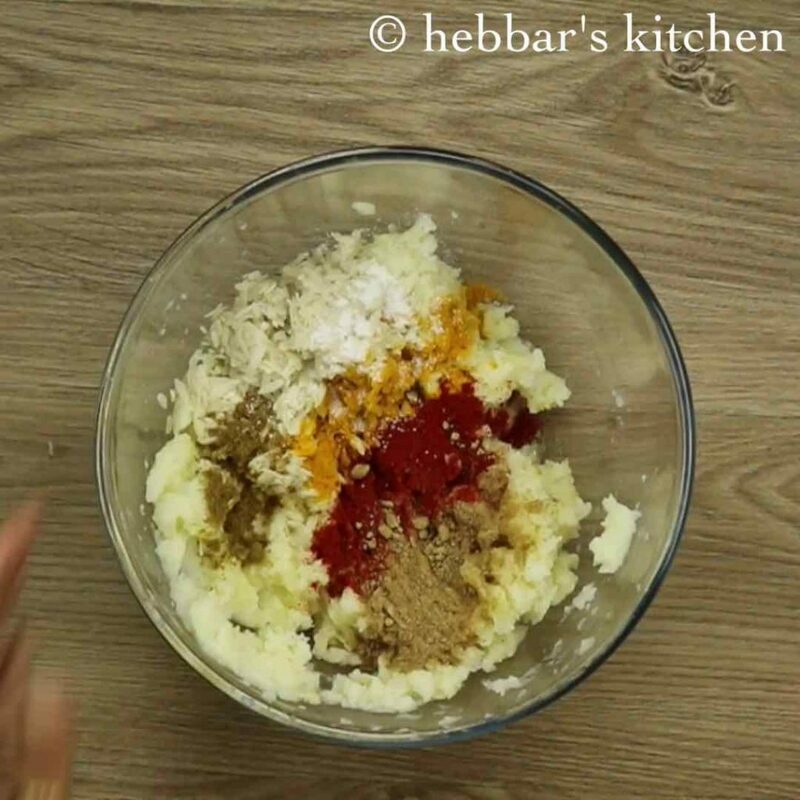 combine well with hand making sure the spices blends well with potato. now take a ball sided potato mixture. 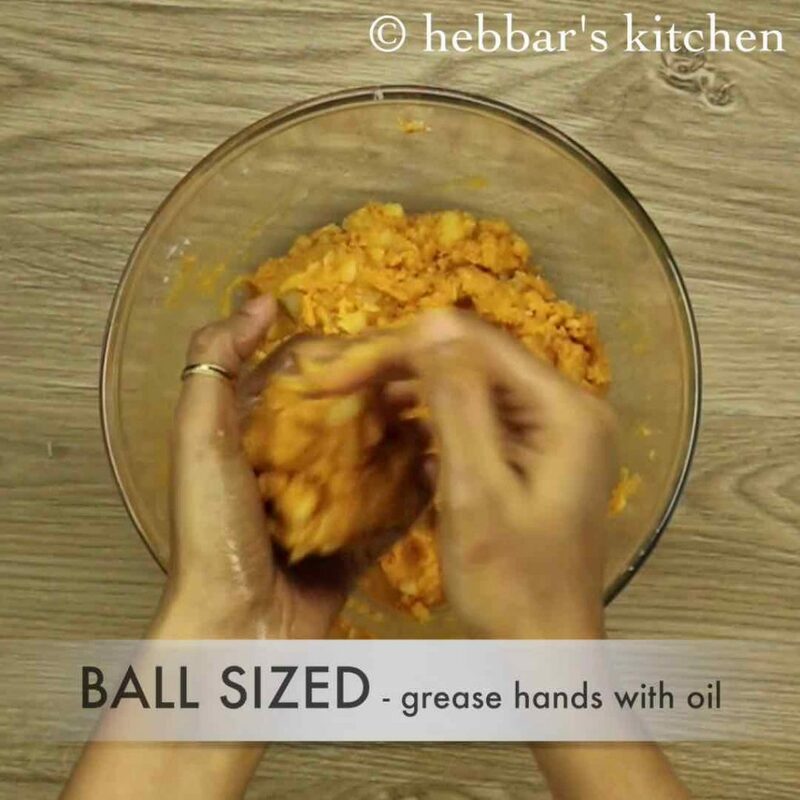 grease hands with oil to avoid potato mixture from sticking to hands. prepare a flat round shaped pattice. 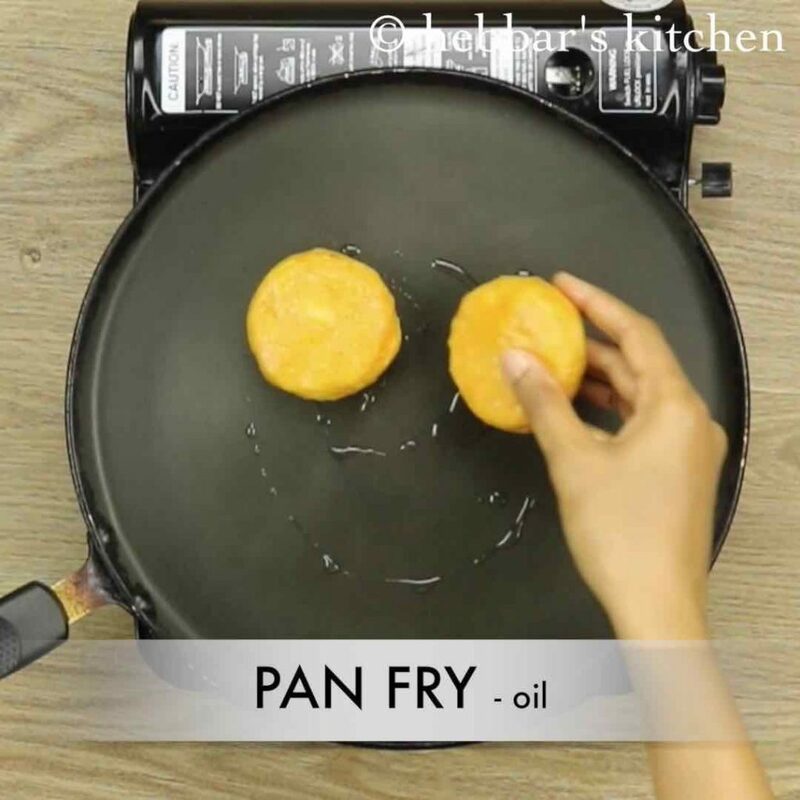 shallow fry or pan fry the pattice with little oil. flip over and roast the pattice on both sides till they turn golden brown and crisp. firstly, in a plate pour prepared ragda. 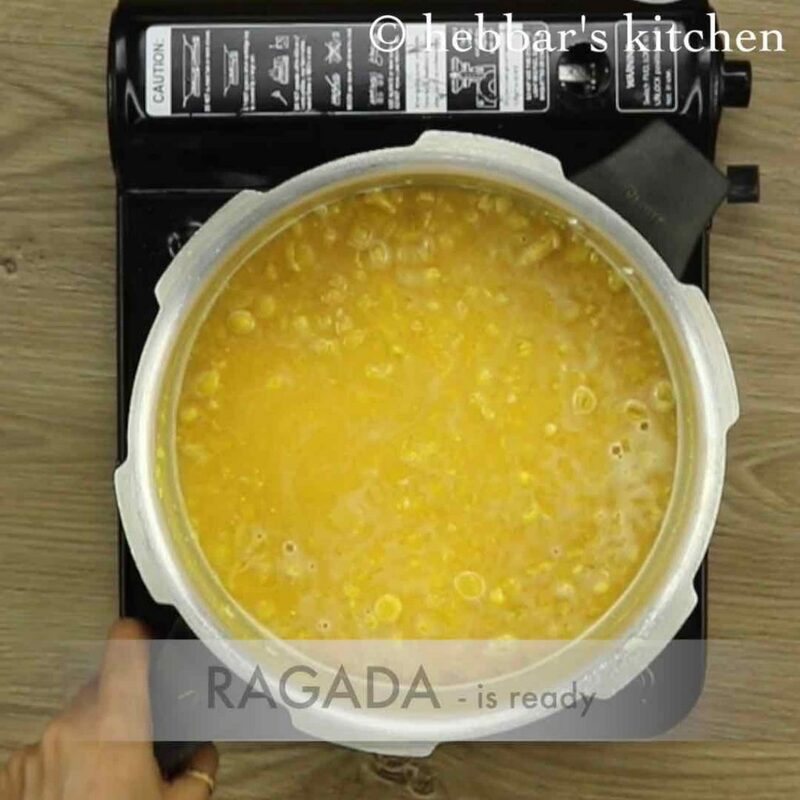 further place the 3 prepared pattice over ragda. pour more ragada over pattice. top wit green chutney and tamarind chutney. also add garlic chutney for spicier version. furthermore, sprinkle chili powder, cumin powder, chaat masala and salt. also top with finely chopped onions and tomato. sprinkle generous amount sev, fried peanuts and garnish with coriander leaves. firstly, use white peas or vatana for traditional ragada patties flavour. 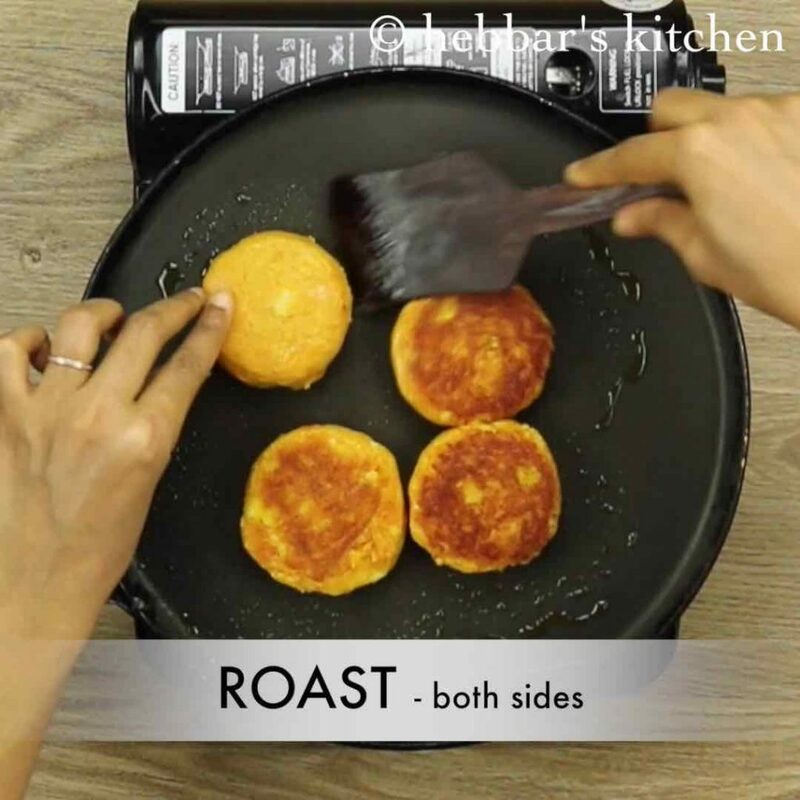 instead of poha, use bread crumbs or corn flour to make patties more crisp. additionally, temper the ragda with onion and tomatoes as a variation. furthermore, leftover ragda can be eaten with pav or bread. 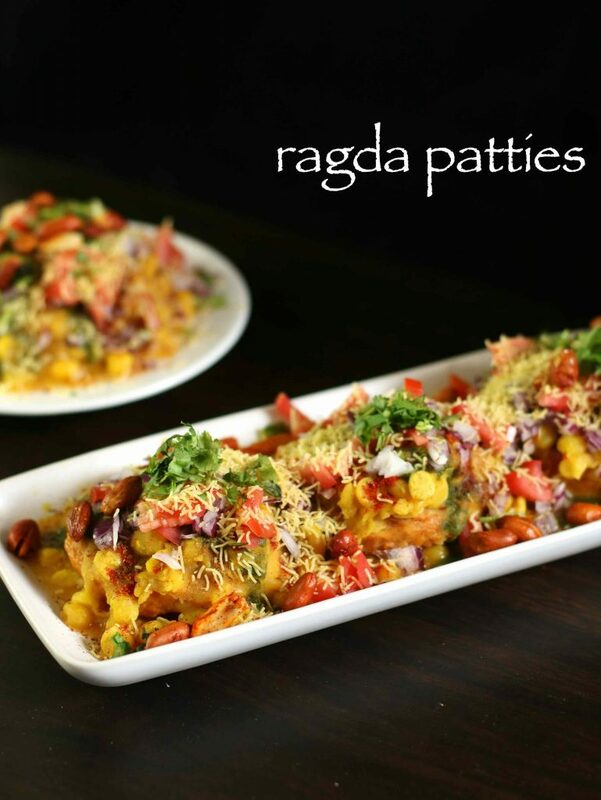 finally, make sure to keep ragda and pattice hot while serving ragda pattice or ragda patties. Thanks a lot, keep it up..
Hi! 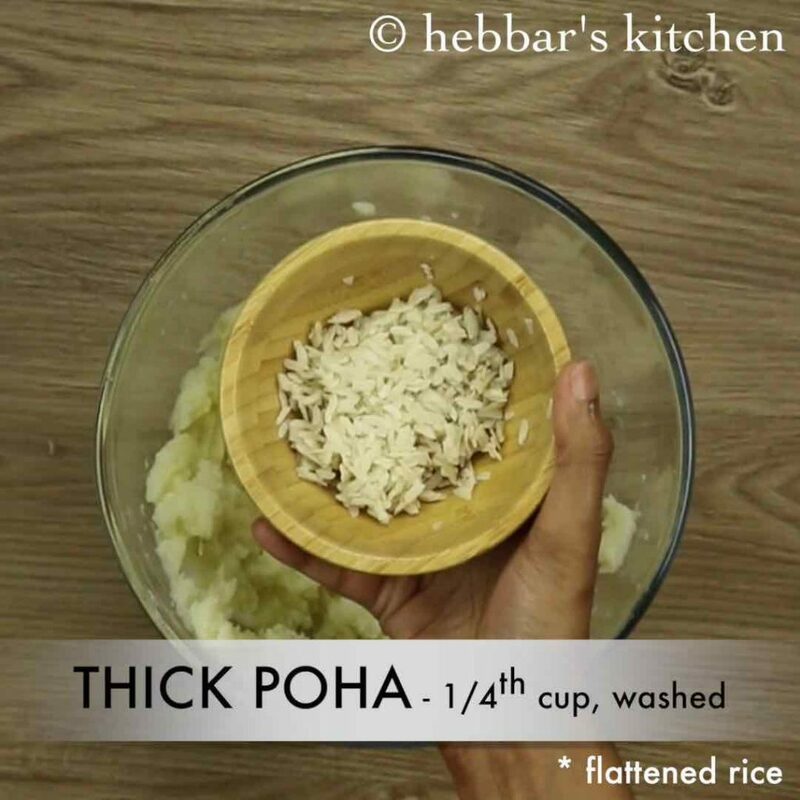 Can I use thin poha instead of thick poha? you can use medium poha, but not the thin poha.